For Ryan Mellody, painting is an exercise in capturing his individual way of seeing. Our eyes, perception, and past experiences are all unique, shaping our sight and the emotions that surround it. Ryan paints from life the landscapes, figures and still lifes of New England—skillfully recording fleeting moments. His viewpoint on color, composition, and paint application combine to create compelling subjects from afar and abstract beauty up close. Ryan is a member of the Vermont painting group, The Putney Painters, where he paints with two living masters, Richard Schmid and Nancy Guzik. 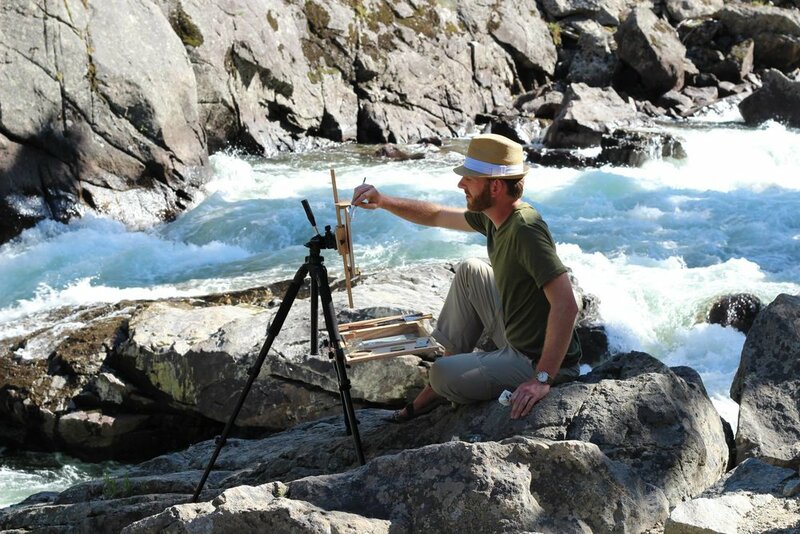 Ryan lives and paints in his studio in Woodbury, Connecticut, and loves traveling to paint throughout New England.